Efforts to depict Europe on online-maps are multitudinous, although usually based on EU statistical data. Thus, using the recommended Lambert projection, a picture of a EU-defined Europe is achieved in a geopolitically limiting way. However, the geographical terms and conceptions of Europe have gradually developed throughout history – Lichtenberger (2005) refers to evolutionary stages which are strongly connected to varying degrees to cartographic representations. 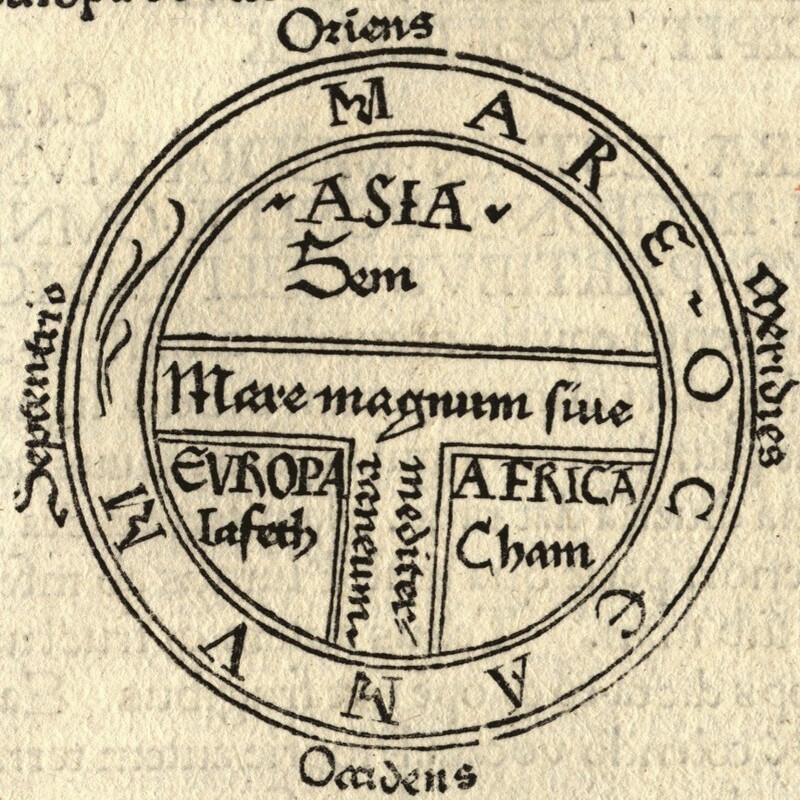 In accordance with the ancient imagery of the European nucleus with the Mediterranean Sea in the centre, Christian maps depicted the world as a disk centred on Jerusalem placing the east (or orient) at the top (T and O maps) and Europe in the bottom left corner. 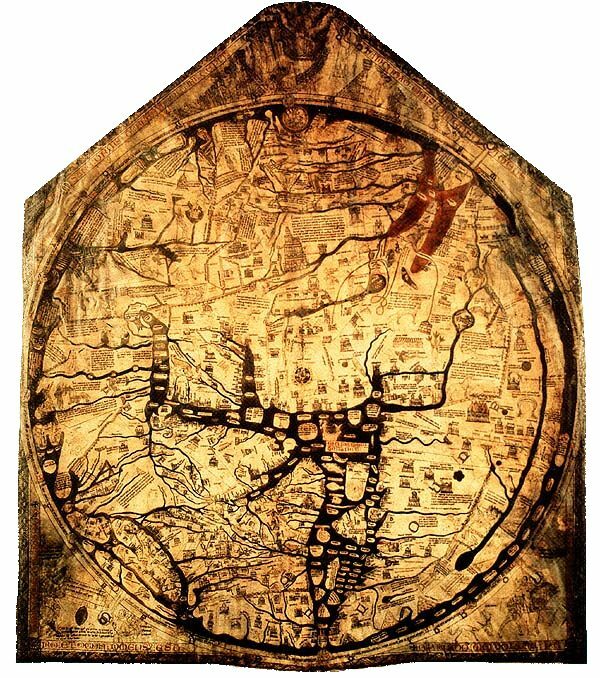 This pattern was used on maps for over 600 years and forms the basis of the largest and most detailed medieval maps, the Hereford Mappa Mundi and the Ebstorf Map, both dating back to the 13th century. 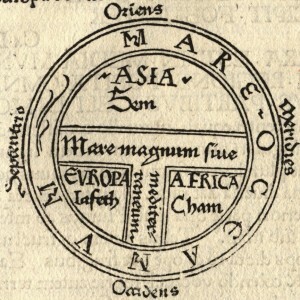 The modern era led to the Europeanisation of the world – geographically by discovery and colonisation, cartographically by the introduction and extensive usage of the Mercator projection. 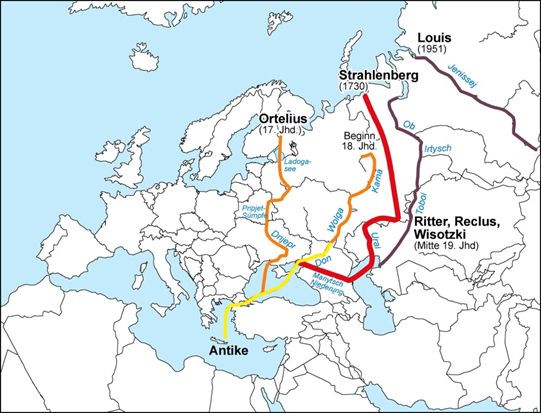 Over the last 500 years the eastern border of Europe as a continent has steadily moved eastwards. 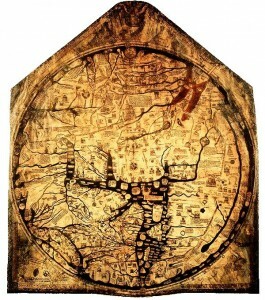 Starting in Ortelius‘ „Theatrum Orbis Terrarum“ in the 16th century as an imaginary line from the Black Sea to the Dnieper and on to Lake Lagoda, it moved to a line represented by the Don, the Volga and the Kama until the end of the 17th century. In 1730, the Swedish officer and geographer Philip Johan von Strahlenberg published his book Das Nord-und Ostliche Theil von Europa und Asia (North and Eastern Parts of Europe and Asia) pushing the border further east towards the crest of the Ural Mountains. This was the most eastern boundary until the 20th century (with some lesser modifications by Ritter, Reclus and Wisotzki) when in 1954 Herbert Louis pushed it to the Jenissej in Western Siberia, referring to his concept of agricultural carrying capacity. In modern times different approaches to define this border have been made throughout the geographical disciplines, considering ethnic and cultural differences, as well as structures and phenomenological aspects of cities and settlements.